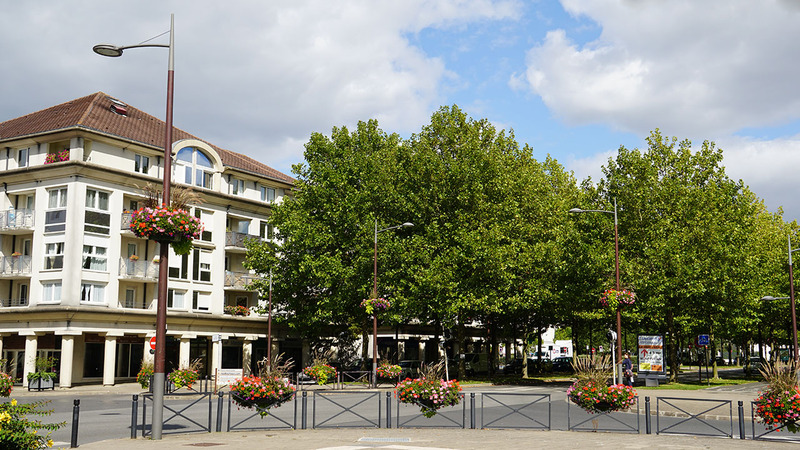 Bussy Saint-Georges is not called the city of parks and gardens for nothing. The city is indeed dotted with squares, parks and gardens that are all oxygen flushes where the locals like to relax and stroll with family through the seasons. You can come and admire the remarkable trees or flower blends refinement, stroll along the ponds or enjoy nature in the city. Bussy has about 155 hectares of green space, more than 9,000 trees, 10 squares, parks and gardens, 8 lakes, plus a 27 hole golf course extending over 75 hectares. In minutes, you can reach the RER (public transportation). Trains run on average every 10 minutes in 2 directions. 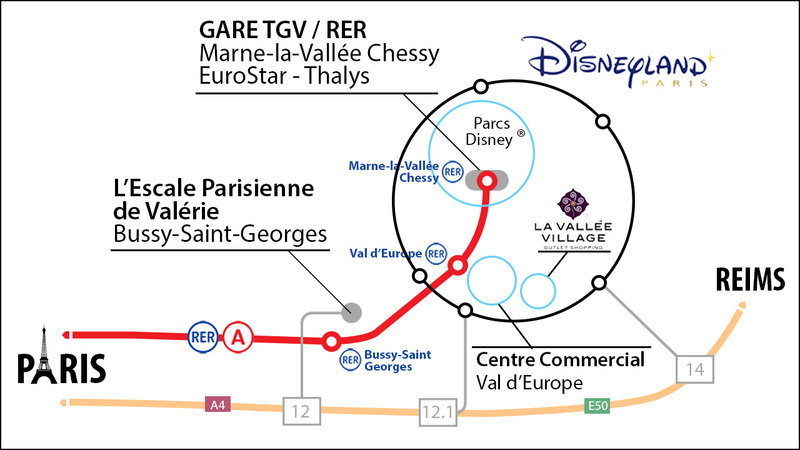 So you can get to the station Val d'Europe (Shopping Centre and La Vallée Village) in 4 minutes and the Chessy station (Parks Disneyland Paris) in 3 minutes, or in the center of Paris in 30 minutes from Bussy Saint Georges . The price of the RER ticket to the unit is € 2.50 for 2 stations, or € 5.95 in Paris. Beyond 2 days to 2 people, consider buying your ticket per book, less expensive. We can advise you on the choice of packages according your projects (package 1 day package tour of Paris, etc ...) and ask about the total or partial free for children under 10 years. TGV station Marne-la-Vallée - Chessy is located at Disneyland Paris door. From this station it is possible to access all destinations TGV train, Thalys and Eurostar. 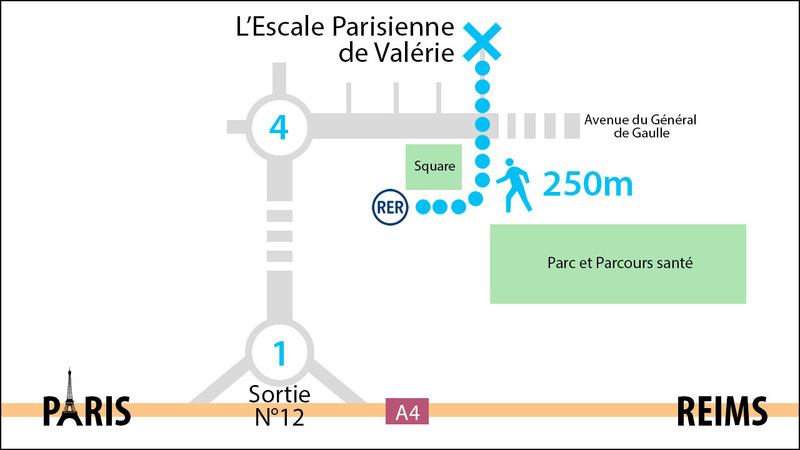 If you arrive at the station, you can then take RER to go to l'Escale Parisienne de Valérie stopover in Bussy Saint-Georges (7 minutes) unless you choose a private transfer. The international airports Roissy-Charles de Gaulle and Orly airports are served by each transit through Paris. We advise you to choose a private transfer, more direct. A trusted driver will personally welcome you at the airport, take your luggage and take you directly to the foot of the building where l'Escale Parisienne de Valérie is.